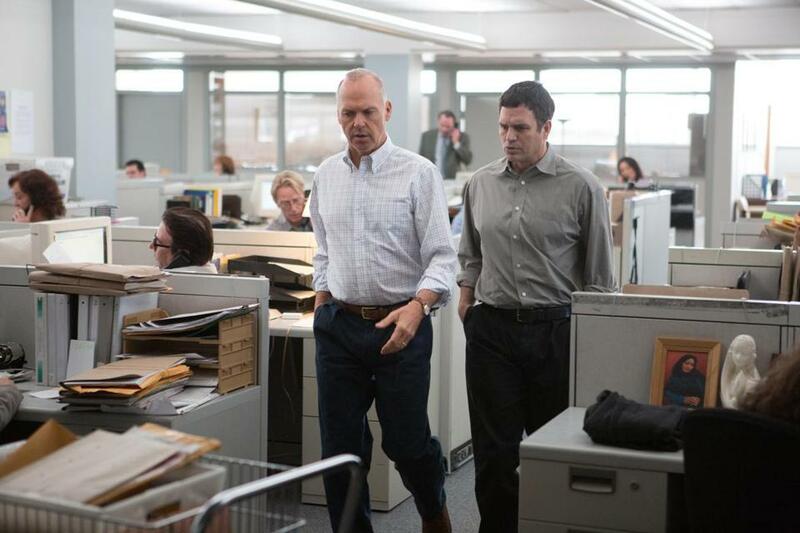 “Spotlight” stars Michael Keaton and Mark Ruffalo in the film. 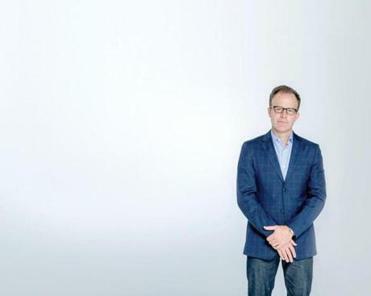 Editor’s note: When we heard that “Spotlight’’ director Tom McCarthy would be picking up a screenwriting award at the Nantucket Film Festival just days after the Globe had decamped from its longtime Dorchester digs for new quarters in downtown Boston, something clicked. Who better to write about this venerable building, immortalized by his cinematic vision? What had he expected when he first walked into our newsroom a few years ago? What surprised/delighted/vexed him about what he found? And how on Earth had he managed to capture this place and its people so accurately? This is his answer. I spent the better part of a year wandering the endless maze of hallways and stairways that make up the Boston Globe’s soon–to-be-abandoned headquarters on Morrissey Boulevard. The purpose of my frequent visits was research for my 2015 film, “Spotlight,” which chronicled the investigation by the Globe’s Spotlight team into the Catholic Church’s cover-up of the priest abuse scandal. 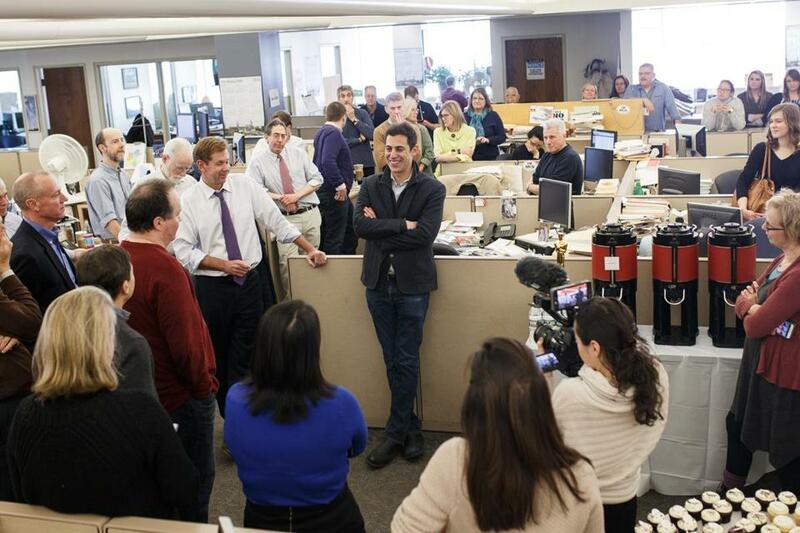 Co-writer Josh Singer in the real Globe newsroom in 2016. In our defense, even the Globe’s former editor, Marty Baron, quipped that he communicated with the Spotlight team by e-mail in part because he had a hard time locating the Spotlight offices, which were tucked away on the mezzanine level of the building. Our saving grace was the generosity of spirit of the good people who worked there. 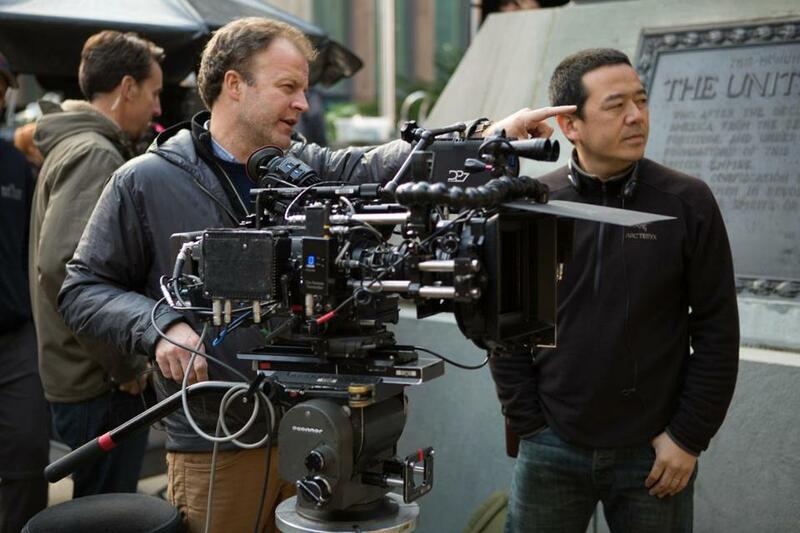 We were constantly being directed, redirected, and even escorted by the industrious crew of that mighty ship. Their contribution was all the more notable because we had been clearly identified not only as snoopy Hollywood screenwriters but also as unrepentant fans of both the Yankees and Phillies. 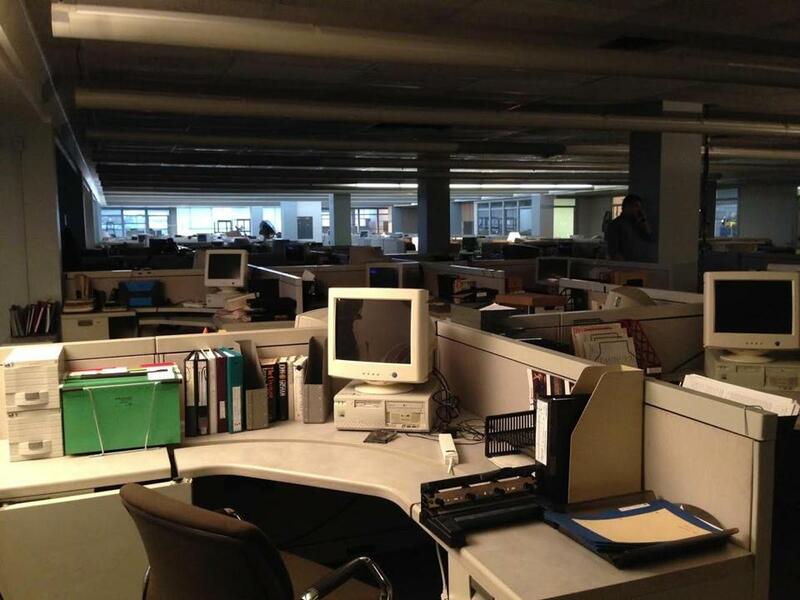 Early on, I knew that we were going to have to rebuild the newsroom for the purposes of our film. Shooting just in the live newsroom was not feasible due to the interruption it would cause the Globe. We caught up with McCarthy to ask him about journalism and Nantucket, where he’s headed to pick up the Screenwriters Tribute Award. Ultimately, we took great pains to recreate that space in an abandoned Sears warehouse in Toronto. Finding a real facility that was big enough for the set was a massive challenge and a stark reminder of the sheer size of the Globe’s newsroom. But my production designer, Steve Carter, brilliantly captured the layout and design of that room, circa 2001, right down to the garbage cans. We also rebuilt the famously dingy Spotlight offices in that abandoned warehouse. It was such detailed replication that when the real Spotlight reporters visited the set for the first time, they quietly drifted to their appointed desks, mouths agape, as if they were walking into their own shared past. It was a wonderfully memorable moment. The final step was integrating the two locations, two countries apart. So, for instance, early in the film when Sacha Pfeiffer and Matt Carroll walk down a set of stairs from the newsroom and emerge into a hallway outside the Spotlight office, they are, in fact, walking down the real stairs in Boston and emerging onto our set hallway in Toronto. But one question I continued to wrestle with was how did this building, whose aesthetic could be described as utilitarian meets high school, speak to the central theme of the film? The answer was in the nickname. We rely on newspapers to hold powerful institutions accountable. But it takes a powerful institution to achieve that service. And there, perched just off the bay, apart from other institutions, was the SS Globe, a mighty warship whose primary function was to protect the citizenry by arming them with fact. It’s a no-frills building. The perfect setting for serious people to do serious work that is, at its core, a public service. A service that is fundamental to our democracy. To see that building humming at full capacity during the day, or lit up with the presses running at night, was a sight to behold and, clearly, a site to honor.